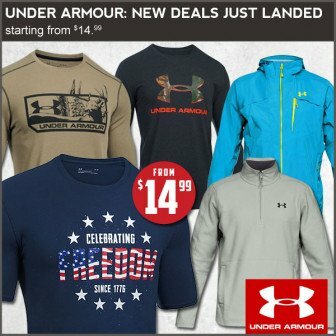 Field Supply has Under Armour apparel on sale right now and prices have been discounted to as low as $14.99! Shipping is free when you spend $25+. Now the perfect time to stock up on good looking clothing that has a hunting theme. Not only can you look stylish, but you’ll also represent the lifestyle that we all know and love!